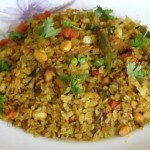 I am partial to most Indian foods …… no great surprise given my Indian heritage. During our recent stay in Kerala one of the pluses was being able to eat home cooked meals using the freshest ingredients, vegetables and fish/meat. We would buy king fish from a government approved vendor who brought a variety of fish, prawns and other shell fish each evening displayed on a cart. The vendor had someone who would clean and slice the fish based on specific requirements. The fish was so fresh that when it was cut for cleaning, it would frequently still ooze blood! We ate very limited amounts of meat and chicken while in Kerala, but even these were literally from animals or poultry slaughtered the same day and in the case of chicken it was done in one’s presence. But my favorite meal by far was a typical South Indian breakfast consisting of idli, coconut chutney and kadala (a spicy black-gram “stew”)! The idli was delivered each morning by an older Brahmin guy who would commute by motorcycle and dish out the required number of idlis to each customer from a container he carried with him. He and his wife made the idlis at home each morning for sale to his customers. The idlis were delectable and out of this world – and of a texture and consistency that would be difficult to make at home. The kadala and coconut chutney were made by our very able cook, Risa. 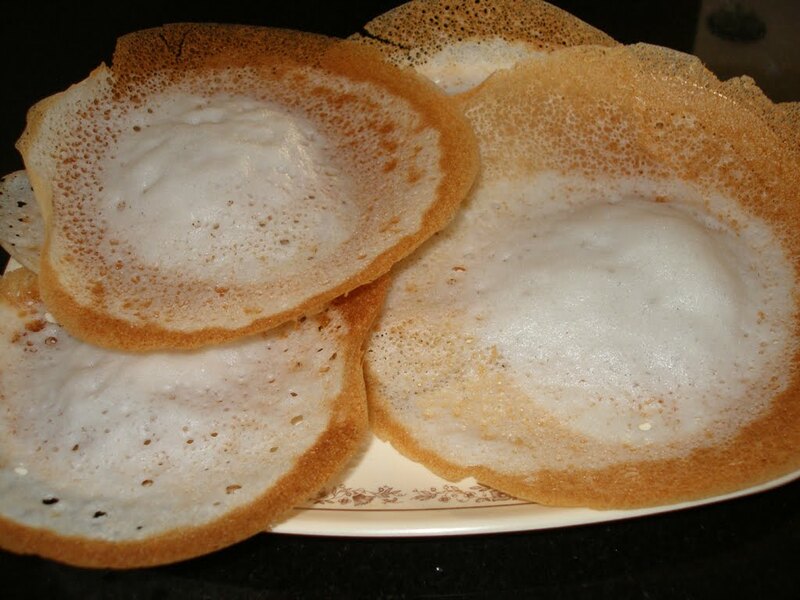 There are a variety of breakfast dishes in Kerala but I would mostly confine myself to the items mentioned above – sometimes combined with a dosa – mainly because as Indian cuisine goes, the idli has to be one of the healthiest of foods. It is described to Westerners as “rice cakes”. 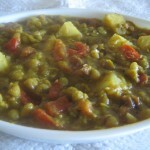 It consists of a mix of ground rice, ground lentils with water and it is allowed to ferment. The batter is then placed into a special vessel and is steamed …….. so there is no oil …… which accounts for it being one of the healthiest of all Indian foods. Between the idli and the kadala, one gets a generous supply of protein and carbs. Since returning from India two weeks ago, we have been trying to stay with the same breakfast except that we have no Brahmin vendor to deliver the idlis and no Risa to prepare the garnishings to go with the idlis! But my cousin in Cochin gifted us with a heavy duty Preethi Indian blender/mixer/grinder which we brought to the US. Indian blenders/grinders are geared to Indian cuisine and are able to do a grinding job in a way that American or Western blenders cannot. After multiple efforts, we finally managed to get the idlis to a consistency and taste that is close to that of our Brahmin vendor in Kerala. Idlis are easily digested and with the kadala and other garnishings they are fairly balanced in terms of nutritions – though certainly not suited for someone on a low-carb diet!! In India breakfast is regarded as one of the most important meals and in that respect it must appeal to dietitians who herald the importance of every one having a good breakfast. But unlike the idli, most Indian breakfasts are not the healthiest because of the oil and ghee that is part of the preparation. What gets served for breakfast varies within different regions of India – and the diversity is striking and in some ways is a microcosm of India as a country. 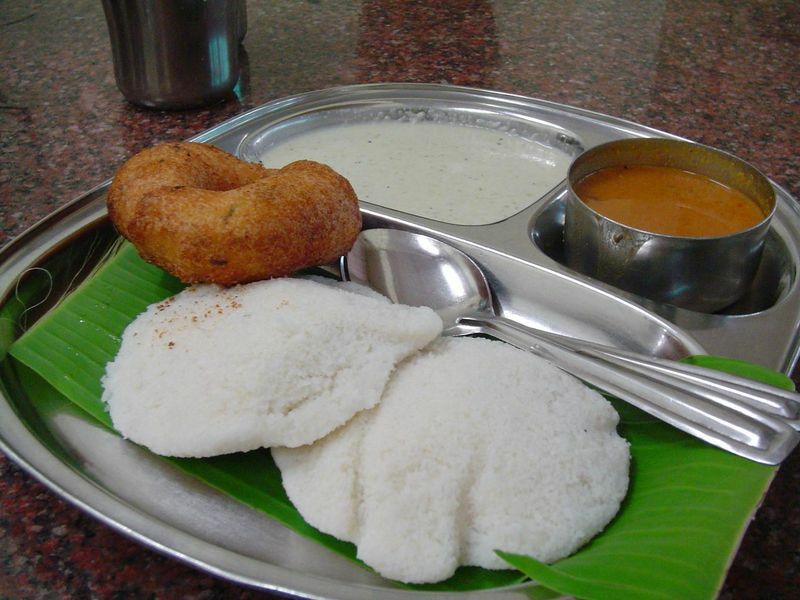 In East India (Orissa,Bengal) the most popular breakfast are idli, bara, puri, and upama. 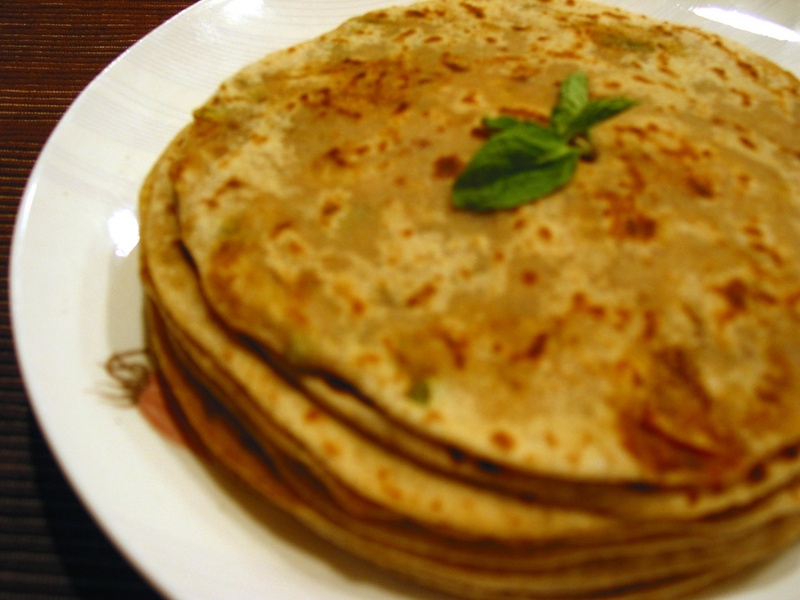 These are served with ghuguni (peas curry) or potato curry and also sweets like rasogala and chenapoda. 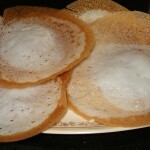 In South India, the most popular breakfast is an assortment with several possible main dishes, such as idlis, vadas, dosas, salty pongal, and chapatis. 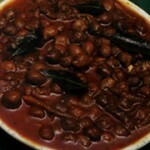 These are most often served with hot sambar and at least one kind of chutney. This is the typical breakfast in Tamilnadu. Kerala breakast includes puttu (eaten with kadala and/or ripe bananas), appam and stew, and other popular breakfast items like idli and dosa. 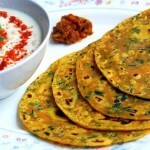 The usual North Indian breakfast is wheat based unlike that in the South that is rice based. 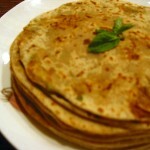 It consists of stuffed parathas or unstuffed parathas with fresh butter, cooked spicy vegetables — especially aloo sabzi. 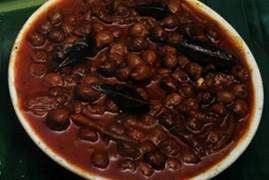 Puri and chholey is also a popular north-Indian breakfast, along with rajma-chawal. 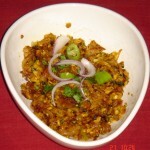 Popular accompaniments include sweets like jalebi, halwa, and sweetened milk. Samosas, and combination of jalebi with yogurt (dahi-jalebi) comprise stand-alone breakfast items in U.P. and its surrounding parts. 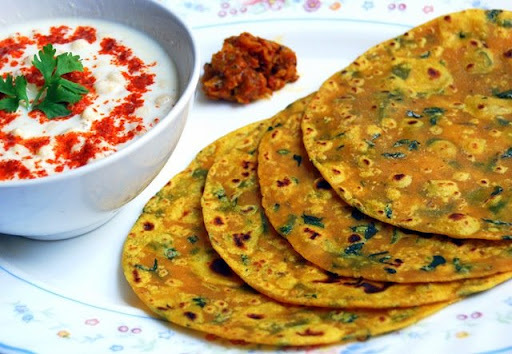 Gujarati breakfast items include haandvo, dhokla, sev-khamni, theplas (a form of paratha), bhaakhri and assorted hard and crispy masala puris with pickles. There is a marked difference in flavor between the Gujarati breakfast items and those outlined above. Tea is a staple item in breakfast. 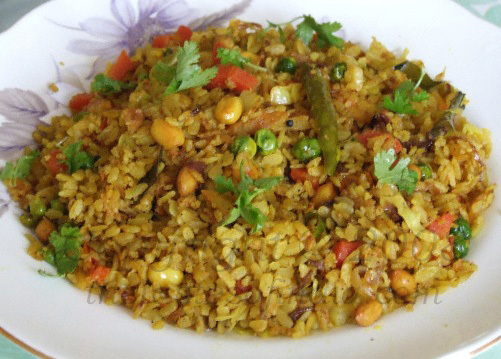 In Hyderabad it is kitchri (yellow rice with dal) with keema or khagina (scrambled egg with onions and tomatoes), thil ki chutney (sesame and peanut chutney) and kata (imli water with raw onions and fried zeera, hara masala) with pappad. In urban areas, omelettes and simple butter sandwiches are becoming a popular breakfast food as are cereals and other Western breakfast favorites. Compared to the typical Indian breakfast fare, the western breakfast seems remarkably uncomplicated! But the typical Indian breakfast does share one thing in common with its Western counterpart – it tends to be oily and calorie laden! 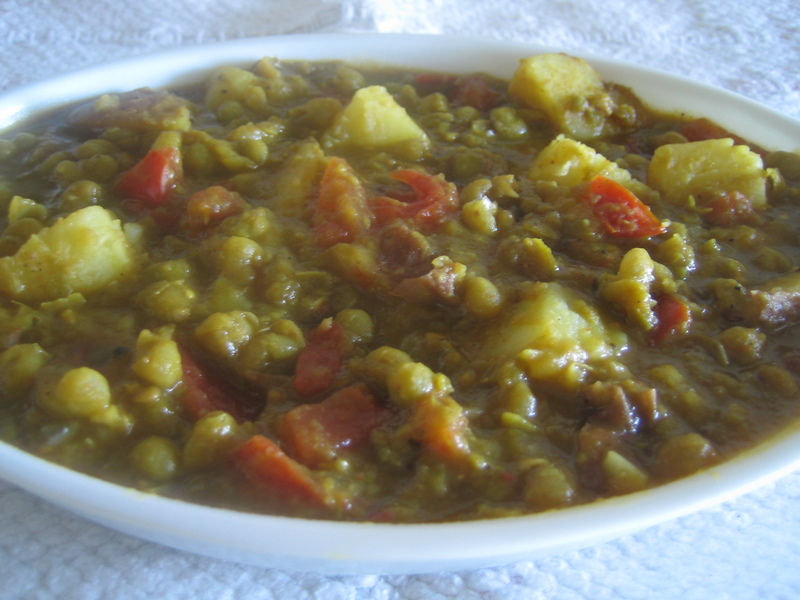 But unlike the Western breakfast that tends to include meat items – sausage, bacon, etc – the Indian breakfast, almost universally is vegetarian. As is evident the variety and range of items served for breakfast in India depending on the region seems almost limitless. There has been some migration between regions of different cuisines …… idlis and dosas have become part of the fare all over India and is no longer confined to the South and puri-bhaji is served frequently in restaurants in the South although they are uniquely North Indian dishes. A confession: I started writing this post, prior to breakfast and after a morning walk ….. returning home with hunger pangs ……. so it, perhaps, explains the focus on food!